Other Products by Herbs Of Gold. Search other Co Enzyme Q10 Supplements products. Healthy circulatory system, heart function and heart health. 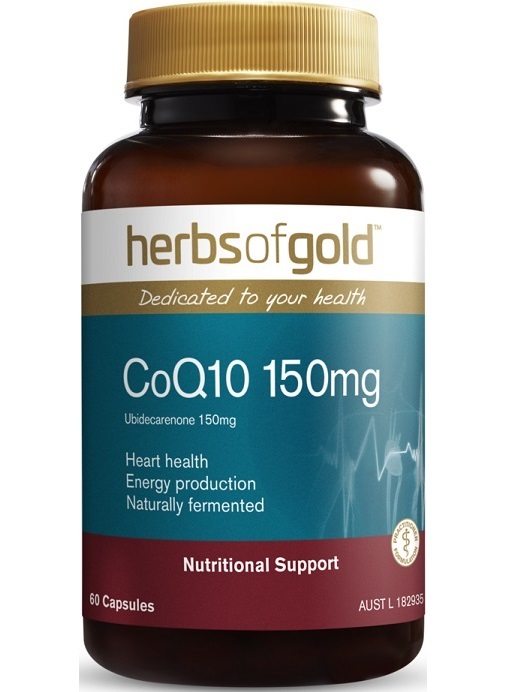 Herbs of Gold Co Q10 150 MAX contains one of the most interesting nutrients yet discovered: Coenzyme Q10 (COQ10), also known as Ubidecarenone, though the former is somewhat easier to pronounce! COQ10 is a fat-soluble nutrient that is synthesized in the human body—actually in the liver—from cholesterol. And one of the crucial enzymes responsible for this conversion is HMG CoA Reductase. Interestingly, there is a class of cholesterol-reducing medications that work by inhibiting this enzyme, thereby lowering cholesterol levels. A side-effect, however, can be reduced COQ10 levels, and the signs and symptoms that sometimes follow, which include fatigue and myopathies (muscle pain)1. Herbs of Gold Co Q10 150 MAX contains enough of this important nutrient to overcome any nutritional deficits. Herbs of Gold Co Q10 150 MAX is a high strength and versatile product. Supporting mitochondrial health is helpful for a range of conditions, and also to support general wellness. For instance, COQ10 has been used for the management of a fatigue disorder called chronic fatigue syndrome. 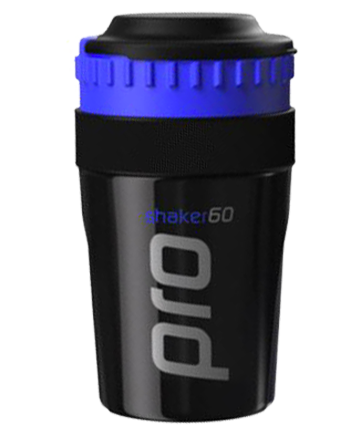 This is simply because COQ10 is needed for the very last stage of ATP (energy) synthesis, which occurs inside the mitochondria, called oxidative phosphorylation. COQ10 also exerts a strong antioxidant effect, helping to keep the mitochondria functioning properly and protecting it from damage. It has also been suggested that this nutrient may benefit fibromyalgia and cardiomyopathy, such as congestive heart failure. COQ10 may also assist in lowering elevated blood pressure2. Herbs of Gold Co Q10 150 MAX may also be used for the management of migraines, general fatigue and to promote vitality. Herbs of Gold Co Q10 150 MAX is a versatile product has a multitude of uses and can also assist with promoting general wellness, thus supporting quality of life.